Quite recently, smartphones have been dubbed as one of the most significant inventions of the 21st century – and for several good reasons. Without a doubt, they have changed the way we live our lives in several ways. Unfortunately, this also meant some negative effects. In fact, there have been a number of studies that showed how smartphones can trigger varying health conditions from addiction to depression to chronic pain. And the latest health consequence associated with excessive smartphone use is temporary blindness. 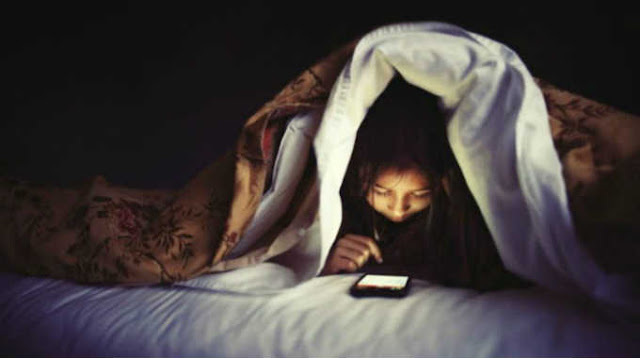 A report published in the New England Journal of Medicine stated that two women in England were diagnosed with blindness induced by too much smartphone usage, especially at night. Both of the women described that they were having vision difficulties in one eye though the occurrence is temporary. .Only one of the eyes becomes blind. .The vision loss is only temporary, usually lasting only for 15 minutes. .It happens almost at nighttime. 01. Before they went to sleep, they would check their phones. 02.They’d do the same thing again right after waking up. 03.They would lie on one side and one eye is covered with a pillow or closed, while the other is open to look at their phone. After this particular mode of checking, both women would experience temporary vision loss in their right eye, which is the eye they used to view their phone. At first, the vision loss would only occur two to three times weekly. But to their horror, it became a daily event. When the women talked about this to the eye specialist in London, he and his colleagues theorized that the blindness is caused by uneven light adjustment that occurs between the phone eye and the pillow eye. Our eye has the amazing capability to adapt to different levels of light – and can rival any camera. However, when we look with our phone with one eye and the other still in the dark, this can result to “differential bleaching of photopigment,” which then tricks the eye that we use for viewing our phone that it’s gone blind. Temporary blindness is very scary indeed, but this doesn’t mean we should put our precious phones down. Just like with all other things, we should know how to use them moderately.